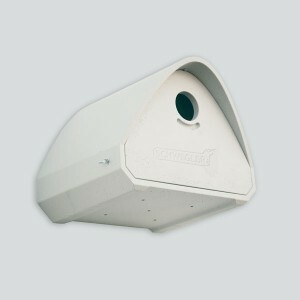 With this nesting aid you can experience Swifts in a completely different, new way and at the same time protect them. 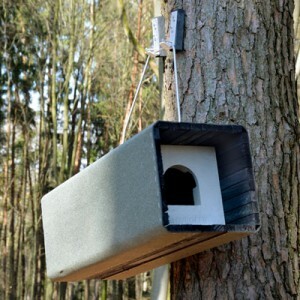 They enable us to observe and study the animals directly in their nest. Unforgettable observations are possible, not only during the rearing phase but much more besides. 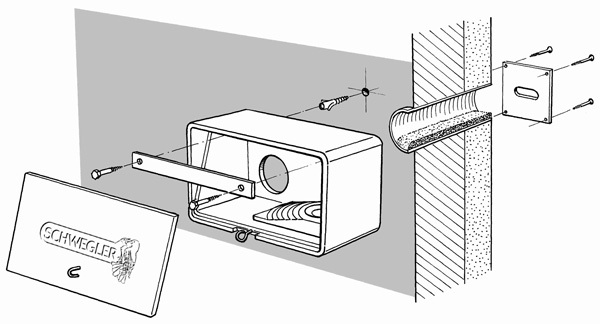 Swift Observation Box No. 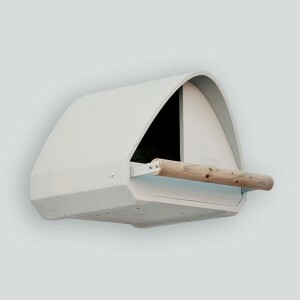 14 is suitable for attaching in cold rooms near the roof, e.g. in attics, in historical buildings, industrial plants, warehouses, lift shafts, etc. Material: Breathable SCHWEGLER wood concrete. Installation: This nesting aid is installed inside the building, attached to an external wall using the fixing bracket supplied, screws and wall plugs. A passageway for the Swifts is created from inside the building to the outside, either in an existing opening on site or by making one (e.g. by core drilling l 100 mm). 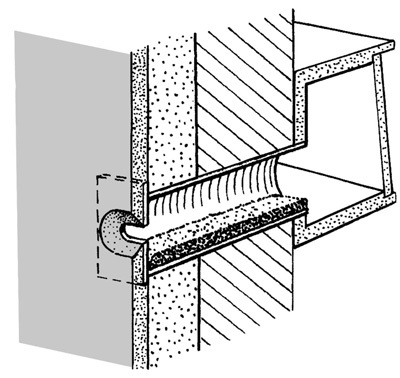 The specially textured passage tube supplied with the box is pushed into this opening and any existing thermal installation is bridged. The passage tube has a maximum length of around 35 cm. It can be shorted individually to the required length. If the walls are thicker, Swift occupancy is usually less likely. The entrance in the external façade is fitted with an entrance hole cover made of vegetable fibre-reinforced concrete. It can be painted or rendered if necessary. Observation and cleaning option: Complete flap, including integrated protection against falling out (acrylic glass pane), is removable, ensuring a full view of the whole interior. Dimensions: W 43 x H 24 x D 22 cm plus passage tube and cover. 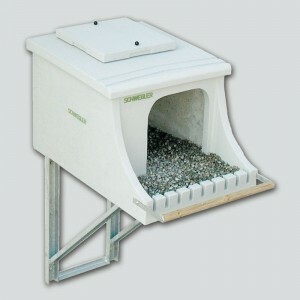 Includes: Basic box, Nest Mould, passage tube, entrance cover, fixing bracket and screws. 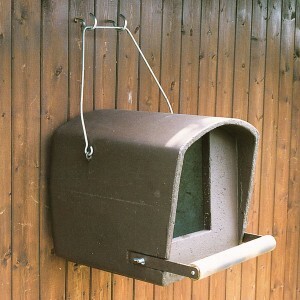 For more than 65 years, SCHWEGLER has been one of the most trusted brands in Europe for bird conservation equipment and nature conservation products.